HOW TO GET A THAI DRIVING LICENCE? We can assist Thai citizens and foreign Nationals in getting a Thai driving licence in Pattaya. If you wish to be able to drive both cars and motorcycles in Thailand, then you’ll have to apply for 2 separate driving permits, and you’ll be issued 2 different physical cards. You can use an International Driving Permit as a tourist, but if you’ve been in the country for 60 days or more then you are supposed to get a Thai Driving Licence. For people who are short of time… we offer a no hassle premium express service. Please call us for information. You can get a Thai Driving Licence by yourself, but the whole lengthy process can take a few hours to complete depending on the number of people applying on that particular day. The forms are written in Thai, so non Thai-speakers its recommended that you take along a Thai speaker for interpretation and to help fill in the forms. Its definately a lot easier to let J & E assist you with the whole process. We have vast experience with the transport department and can easily obtain your Thai Driving Licence. Thai National- Thai Driving Licence available every Wednesday. Foreign National- Thai Driving Licence available every Tuesday and Friday. We can also help with a motorbike driving licence, please phone for latest prices. 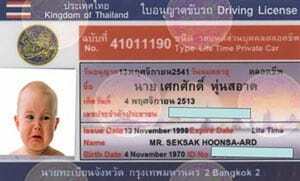 Do you need a Driving Licence in Thailand? The most important reason for getting a Thai driving licence, is to make sure your insurance stands up in case of an accident, even if you are fully insured, the insurance companies will not pay out unless you have a driving licence. The second reason is to keep legal, make sure you will not be constantly fined when stopped by the police for not having a driving licence. The third reason is if you have a Thai Driving licence you can often get entry into places that have dual pricing (one cheaper price for Thai, more expensive for foreigner) and pay the same as a Thai national would instead of the inflated ‘farang’ price. National parks, Fun parks and some Zoos are some examples of where there is usually dual pricing. You can also use your driving licence as ID to check into hotels. How long will my Thai Driving Licence last? If it your first time getting a Thai driving license, you’ll be issued a temporary permit valid for 2 years. 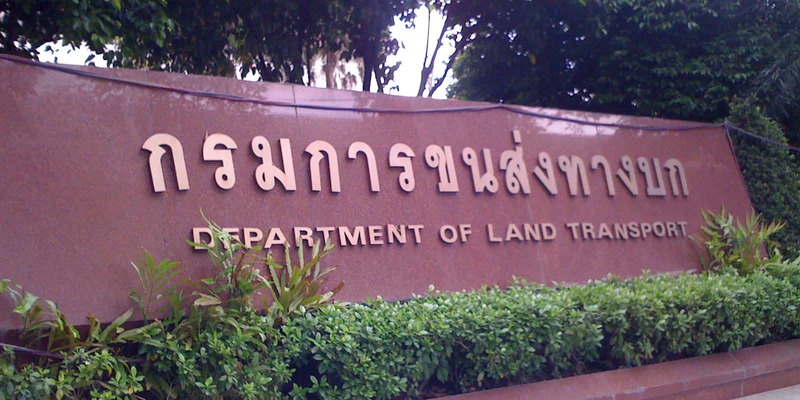 When the first 2 years are nearly up, you can make another trip to the Department of Land Transport with the assistance of J & E and get a regular Thai driving license which is valid for 5 years. What do I need to change Driving Licence to a Thai Driving Licence? Firstly, please send us a copy of your driving licence to info@conciergepattaya.com, so we can make sure it can be changed over. You can get this at just about any surgery, hospital or clinic. It will cost about 50-100 baht. Take your passport with you.